Passion is Key Ingredient to Riding Out Tough Times. CEO Nick Kishfy recently sat down with the Providence Business News to discuss his views on "innovation resources" in Rhode Island and what it was like to build a company up from two to nearly 50 employees. The original interview can be found at PBN.com, or you can read the exchange below! Job creator: MojoTech founder Nick Kishfy is proud to bring high-paying jobs to Rhode Island. He has grown the Providence-based web- and mobile-app development company, now with more than $7 million in revenue, to add three satellite offices throughout the United States. 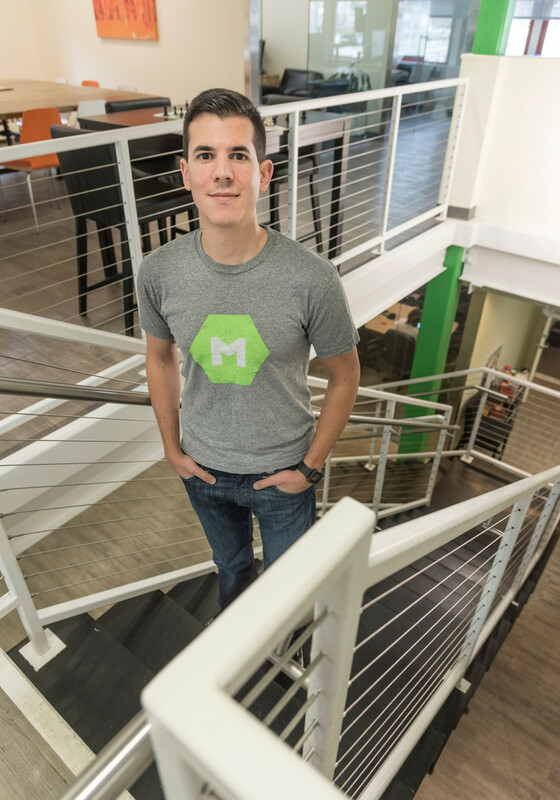 MojoTech founder Nick Kishfy first ran the Providence-based web- and mobile-app development company from his backyard patio when it launched in 2008. Fast-forward eight years and MojoTech registered at more than $7 million in revenue in 2015, with satellite offices in New York City, Boulder, Colo. and Washington, D.C.
Kishfy, whose career began in small startup companies, understands the importance of entrepreneurship in the Rhode Island economy. He offers classes to students and budding technology developers to strengthen the state's entrepreneur community and provide opportunities for business and idea generation to Rhode Island-based innovators. What are the biggest hurdles to starting a business in Rhode Island? For engineering-focused, software-development business, the two biggest hurdles to starting a business in Rhode Island are people and money. Rhode Island has a more shallow talent pool than any of us would like, and it can be difficult to find qualified designers, engineers and product managers. It's not as bad if you only need two or three of those high-quality, talented engineers or designers, but if you're trying to grow a business on a larger scale, it's tough in Rhode Island. 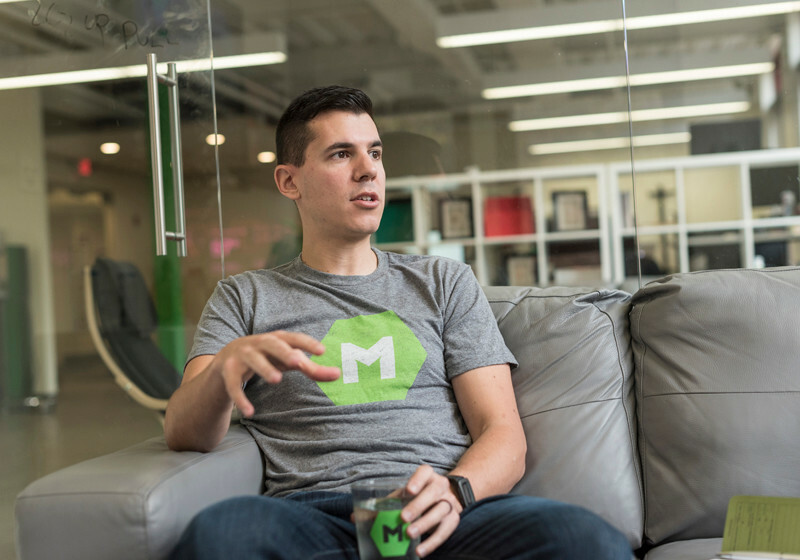 The money is, essentially, not as important for MojoTech because we're not a venture-backed company, but a lot of companies are, and there really isn't a strong investor community here. That exacerbates the people problem because when you go to raise money, you're probably going to get most of your interest from outside of the state. Often, investors like to be in close proximity to their investments, which may mean moving your company to Boston or New York City – further draining the state of entrepreneurial and successful people. Does Rhode Island have the resources to help companies develop innovative products and services? The resource required is talent … and I'm not sure if the state has the [ability] to solve that problem or not. … The state doesn't necessarily spend economic-development money very well, but I do think there has been a shift toward spending on education in computer science fields, and I think that's really smart. What industry offers the greatest potential for growth through innovation in R.I. and why? From my perspective, health care would be at the top of my list and the reason for that is it's one of the largest industries in Rhode Island and it's also, nationally, an industry which is really embracing technology, especially on the patient side. Health care has always been a high-tech field in diagnostics and medical imaging, but more recently it started to embrace tools and processes that are focused on patient outcome and behavioral changes. … Health care is prime for innovation, but it's not happening as fast as I'd love it to happen. Rhode Island is a small state, and it should take advantage of that size … but I often see Rhode Island playing catch-up with larger states. Like how small startups tend to disrupt their competitors. If you look at Rhode Island, its size is like a small startup compared to other states. I want Rhode Island to disrupt those other states and have them adapt. That will help draw in more talent and invigorate this state. … We need to be at the forefront of creating those new products, services, policies and have other states look at us as the innovation state and try to catch up with us. … It's starting to change, but there's a bit too much conservatism as far as risk aversion, fear of being innovative and putting a company or a new product into the market. Can you walk me through why you decided to go into business for yourself – it's a difficult career path? Prior to starting MojoTech, I worked as an engineer for two venture-backed startups. Those were really great experiences; I learned a lot in working closely with the founders of those startups, especially what it takes to build a successful company and, maybe more importantly, build a successful team and culture. Both of those startups had what most people consider a successful exit, they were acquired by large competitors. But, my experience, being an engineer, wasn't that sort of champagne cork-popping moment that you read about in TechCrunch or that is sensationalized on TV. It was, "We put years of our lives, blood, sweat and tears into this thing and now it's gone." … It was a real eye-opening experience about how, even when these things go well, from the employee standpoint it's not all it's cracked up to be. MojoTech is designed to feel like a startup, it's a great place to work, and we highly promote growth and learning, but at the same time it's a profitable business without outside investors, which means we're not beholden to an aggressive "at all costs" paradigm. Startups are inherently a riskier place to work, so our employees get all of those benefits of being on a smart team that works hard and quickly, but also the benefit of working for a stable, profitable company that can pay in salary instead of equity and provide good health care and a 401(k). We're trying to be the best of both worlds to the team. In eight years you've gone from launching your company to having sales of more than $7.3 million in 2015. Do you think MojoTech is the definition of entrepreneurial success? I don't know what the definition of entrepreneurial success is, or if there is just one. I certainly think MojoTech would fit a definition of it. … My definition of entrepreneurial success is that someone creates a business that becomes bigger than themselves: They're solving problems for customers, but they're also employing. That's something I'm really proud of, creating high-paying jobs in Rhode Island, and so I look at that as one of the biggest successes of MojoTech, honestly, maybe more so than other metrics [such as] revenue. Job creation is a great metric for entrepreneurship because if you go out and start your own thing independently, you're more like a freelancer or self-employed and, maybe, you're not quite as much of an entrepreneur because you haven't built anything that's bigger than yourself. MojoTech was bootstrapped; we didn't use anybody else's money, which I'm also proud of and think is unique in today's tech field. When a lot of people think of entrepreneurship, they think the biggest job is fundraising but entrepreneurship doesn't have to mean raising money. It can mean creating jobs, doing work, getting paid for that work and then reinvesting that money into growing the business. Do you think the company's multistate presence is essential when growing and sustaining a business? I think that depends a lot on the business itself. One of our motivations for growth, specifically in Boulder, was to access another talent pool. We were having trouble growing as fast as we would like in Rhode Island and had to turn down great projects that we wanted to do because we didn't have the capacity. So far [Boulder] has been great, it was a really good idea. Having multiple locations can be a good way to hire and a good way to attract clients as well. Unlike Boulder, our New York City office is primarily client-focused; business development, account management, a lot of clients are in New York, so it's convenient for them. We look at the different geographies in a very tactical way. … If we had a different business or weren't trying to grow as much, in theory, we could not have geographic diversity, but it … adds stability to the company. If one area is particularly slow, you have other markets you can tap into to be able to keep everybody utilized and busy. What you're saying is, because of its size, because of the brain drain, Rhode Island just can't sustain a business fully in every way? Certainly not all businesses fully in every way, yes, that's true. But, that's not necessarily a problem. There are a lot of places that couldn't support a business like MojoTech, or at least the ambitions I have for MojoTech. … Sometimes people look at Rhode Island a little unrealistically. Rhode Island's population is 1 million; people forget Boston is 3 million – that matters a lot. It's not just that they have better public transportation or more universities, they have more people period. There's an inherent advantage in having a larger population. Why is it important for you to instill a "say what you think" mentality among employees, and what type of working environment does that create? It's important to instill a mentality where people are comfortable to express their opinions and give feedback, and not be concerned about layers on an organizational chart, as long as you're hiring people that are smarter than you – and that's my goal. We don't really hire people just to be doers and execute on a very rigid plan of action. We need employees who think for themselves and, if you have employees like that, you need to create a culture where they feel comfortable to do so. That means making sure people are comfortable to not only speak up, but to actually make a mistake. A mistake that was made doesn't necessarily cost your job, as long as it had a good hypothesis and you were diligent in trying to see how it would work. That's a good process and it's something we try to encourage. As an entrepreneur, how do you stay up to date on the industry trends? I can't stay on top of all the latest framework, programming language or technologies out there, but I can rely on our Mojos to do that. One of the things we do to look at the work down the road is MojoTime, 15 percent of everyone's salary time goes to independent research and learning. For most people, that means working on client projects, a new process language or framework, writing a blog post, training other Mojos, creating presentations or contributing to open-source projects. We've got a certain amount of time that's devoted to the client and it's paramount that client gets great value during that time, but once you've done that, you now have an obligation to MojoTech. When were you first able to step back and admire the company you built? We had a grand opening ceremony in 2014 when we moved into our new office with both congressmen and senators and Gov. Gina M. Raimondo, then-treasurer, and the mayor – that was the first time I really looked back and saw that, clearly, this business is important to a lot of people beyond myself. … [But] it's a trap to look back and appreciate your own work. We're very hungry here. I'm never really satisfied. What lessons do you wish you had known when you were starting MojoTech? It's a lot harder than you think and you shouldn't do it unless you're really certain you're going to love it. There's going to be really tough days, really tough weeks and you're going to feel like it's not worth it because the level of effort is too high and the risk too great. If you're not really passionate about it, you'll probably become almost bitter that you have to run this thing and … you don't ever want to be in that place. MojoTech has never felt like a chore to me, it's always been a source of pride and enjoyment in my life. Don't start your own thing unless you're pretty confident it's your passion and you'll be able to ride out those bad times.